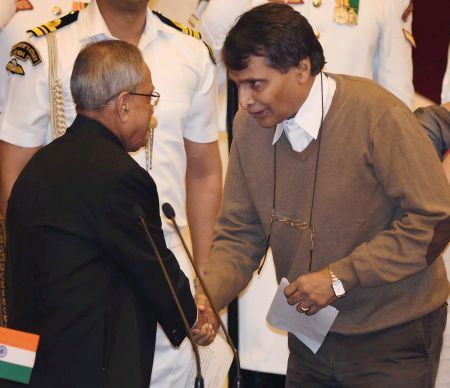 Railway Minister Suresh Prabhakar Prabhu is busy turning around the 160-year-old transport behemoth, having laid out a rather ambitious Rs 8.5-lakh crore (Rs 8.5-trillion) investment road map for the next five years. The white paper we brought out was a diagnosis of the financials. And one of the points that came out as a result of this diagnosis was that there is under-investment in the railways. With a Rs 8,50,000-crore (Rs 8,500-billion) Plan size for five years, we are focusing on investment to decongest our network and improve the throughput so that we can increase our earning capacity. We will leverage the books of public sector undertakings. Projects where the internal rate of return is higher than the dividend will be taken up. Financing of railway projects cannot be left to depend entirely on internal generation. It has never happened anywhere in the world. That is why our dependence on budgetary support and extra-budgetary resources has gone up. Revenue will increase when volume will increase which, in turn, will increase if you increase the capacity to handle more traffic. Otherwise, revenue and profit will never increase. This is the simple philosophy of any organisation. Projects where the internal rate of return is high will be taken up on priority. Multilateral agencies are willing to provide us assistance. Also, we will get money from tax-free bonds which the Finance Ministry has already announced. As of now, there is no problem of shortage of money for the railways. Gross budgetary support from the government cannot be the only source for investment. Worldwide, for financing railway infrastructure, debt is taken. Currently, the debt liability of Indian Railways is just 13 per cent of the traffic receipts, which is lower than in other countries. For instance, debt was 41 per cent of the German Railways’ total revenue of 39 billion euros in 2013. We are exploring the possibility of adopting the annuity or deferred payment model for implementing projects through PSUs. SBI Caps is rendering financial advisory services to us. Of the total of Rs 8,50,000 crore (Rs 8,500 billion), Rs 2,50,000 crore (Rs 2,500 billion) would be through market borrowing, including IRFC borrowing for rolling stock. We will use funds from Life Insurance Corporation, pension funds, etc. This does not include lending from multilateral agencies, which will come through gross budgetary support from the ministry of finance. We have the model of leasing through IRFC and it has worked well. Seventy seven projects worth around Rs 1 lakh crore (Rs 1 trillion) have been shortlisted which we will focus on doubling. All of our efforts are customer-centric. Our Budget document is a five-year plan and this plan is being unfolded by way of the Budget being passed. So, what we are trying to do is to implement each and every point I have made in my Budget speech. All of them have been turned into action points. That is why in the first month itself we have managed to implement 39 of the Budget announcements. In addition, we have started online monitoring called E-Samiksha of all the projects. The unions, which were considered a part of the problem earlier, have become a part of the solution now. Representatives of both the trade unions came and met me today. And they have told me that the entire organisation was demoralised earlier and I have re-energised it. So, we are trying to engage with them and work with them. We have started the process of setting up a working group to draw the contours of a railway regulator. The regulator's role will be more than just tariff. It will be entrusted with making regulations, setting performance standards and determining tariffs. It will also adjudicate among licensees and private partners. 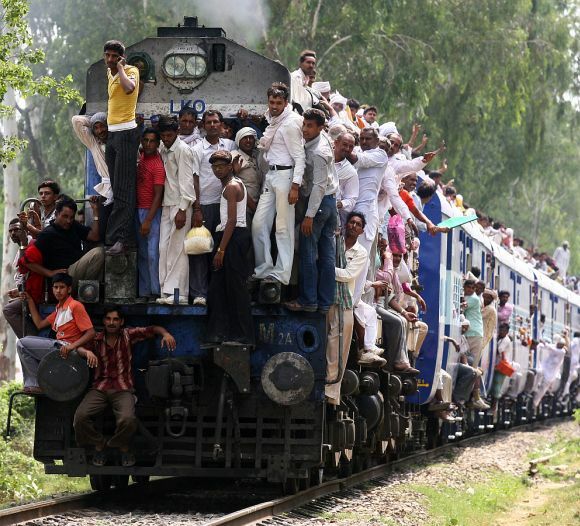 Is Indian Railways for the people?